Faster, higher, geekier: Tokyo will host the best Olympics. Sports fans visiting Japan in 2020 will find robots, holograms replicating races and absolutely no ticketing chaos. Don’t get me wrong. The other contenders, Madrid and Istanbul, are splendid locations too. If you’re looking for gambas al ajillo, or paintings by Velazquez, you go to Madrid. For beautiful Islamic tiles and fried fish by the Bosphorus, you head to Istanbul. No arguments there. But we’re talking here about the Olympics. About ferrying 10m people from A to B on time. About building things when you say you’re going to build them. About broadcasting the images around the world, without the TV going bloop in the middle of the 100 metres final. And in those circumstances, sorry Istanbul, sorry Madrid, you’re on another planet from Tokyo. Banzai means “hurrah” in Japanese. Or perhaps “bravo”. My wife is from Tokyo, so of course we cheered the announcement on September 7. But I was the one making the most noise. On my first trip to Japan as a fledgling journalist I was put up in a posh skyscraper called the Akasaka Prince Hotel, bang in the centre of the city. The flight from London is a killer, so by the time I arrived at 10pm I was shot. The next day, I had an early interview so I set the alarm for 7am and crashed into sleep. The next morning, I came down to breakfast — and the hotel was gone. Or at least the old hotel was gone. The night before, the foyer had been pink. Now it was green. And this wasn’t some tiny bijou hotel foyer. This was a vestibule a block wide. Repainted overnight. Without a sound. That’s what we can expect from the 2020 Olympics. Then there’s the technology. The last time they held the Olympics in Tokyo, in 1964, the world was astounded by the engineering and the gizmos. The reason why we are all so familiar with the sound of David Coleman going potty as Ann Packer storms home in a world record to win the 800 metres in Tokyo was because these were the first Olympics to be seen live around the world on television. The Japanese had sorted out all the necessary international communications. They had laid a deep-sea cable across the Pacific. And put enough satellites into orbit to bounce the signals into your house, wherever it was. To top it all, they’d invented colour TV. This time round, the broadcasts will be available in what they call Super Hi-Vision, or 8k, which produces television pictures with a resolution of 33.2Mp. To put that in perspective, the current high definition you watch at home is just 2.1Mp. So we are talking about images that are up to 16 times clearer and more detailed than the best high definition currently available. When Usain Bolt comes out of retirement to anchor the Jamaican relay team in the 4 x 100 metres final, you’ll be able to watch the swaying of each individual hair on his passing legs. International visitors will also have access to language translation units that can be carried around like an iPod. So if you meet someone foreign in the street, and they speak to you, you’ll be able to understand them instantly through your earpiece. You can see it in action in the promotion film put out for the failed Japanese bid to stage the 2022 World Cup. Then there is the promise of holographic sport. To cope with the demand for tickets for high-profile events, the Olympic organisers are considering hologram versions to be replayed in empty stadia around the country. As for the robotics — hold on to your aluminium head covering unit. 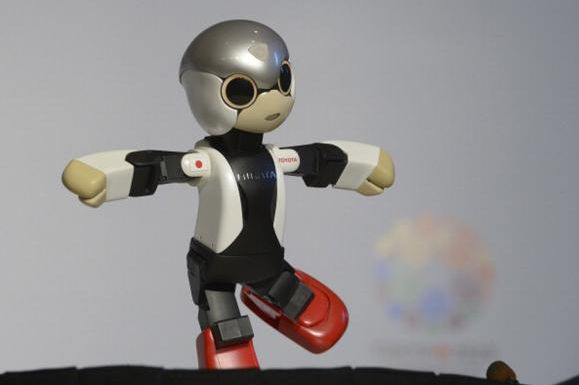 The Japanese have a relationship with robots that is entirely unlike anyone else’s. I once did a film about developments in Japanese technology that featured a robot monk who emerged on cue to greet visitors to the small Shinto temple in which he lived. There wasn’t enough work for a full-time monk in the village — so a robot did it. This ease with artifice has underpinned all of Japan’s amazing technological advances, and is grounded in the beliefs of the national religion, Shinto, which assumes that even inanimate objects have a soul. You mustn’t think of all the robots that will be carrying back the arrows from the archery competition, or scuttling about the greens in the golf at the 2020 Olympics, as robots. Think of them as mechanised souls. Cleverly, as far as the zeitgeist is concerned, these will also be the vintage Olympics. To avoid the terrifying cost of new builds, the 2020 event will reuse what’s already there. Kenzo Tange’s marvellous Yoyogi National Gymnasium, built for the 1964 Olympics and widely considered to be one of post-war architecture’s greatest masterpieces, will be spruced up and reused for the handball. The famous Tokyo Budokan, where Bob Dylan played so memorably in 1978, will stage the judo. 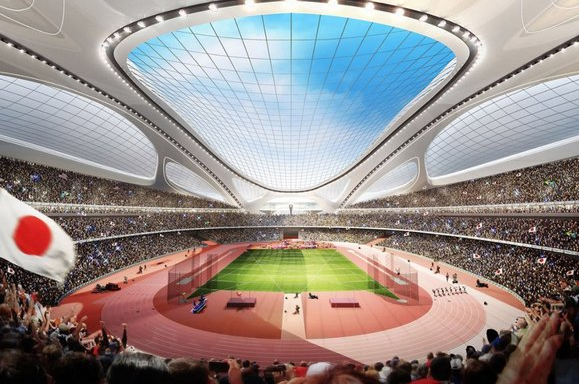 And even the event’s showcase arena, Zaha Hadid’s gorgeous new national stadium in Shinjuku, will be built on top of the old national stadium, saving heaps of money in initial construction costs. The athletes, meanwhile, will be housed in a new village to be constructed in Tokyo Bay. Some Olympic villages built on faraway plots for pioneering reasons — did someone say Stratford? — are hard to shift afterwards. This one won’t be. Ten minutes from central Tokyo, it’s the largest and most desirable slab of new property to appear in the capital for a generation. As for getting around — no one is as good at transport as the Japanese. All but three of the Olympic locations will be within 10 minutes of central Tokyo. For longer commutes, the Shinkansen bullet train — another baby of the 1964 Olympics — remains the fastest and most efficient train service in the world. The national record for the least amount of time lost to delays on the Shinkansen network in a year stands at 12 seconds. For a whole year. On the entire Shinkansen network. The only ambitious bit of train building planned for 2020 will be a new line from Narita airport that will cut the journey time from 55 minutes to 38. As for tickets, and the ticket chaos you always get at Olympics — there won’t be any. The Japanese don’t do ticket chaos. They’ve already announced that tickets will go on sale on January 2, 2019. They’ve even announced the prices. I’ll be putting in for the £30 seats. Oh, and I forgot to mention, you don’t need to tip anyone, either. The Japanese don’t do tips. « Big idea, but small gains.